Located within the luxury golf resort in Baja California with spectacular views of the Pacific Ocean, Casa Verde is a classic example of Baja California living. Expansive views and open spaces that welcome the cooling ocean breeze define the exemplary detailing of this amazing home. 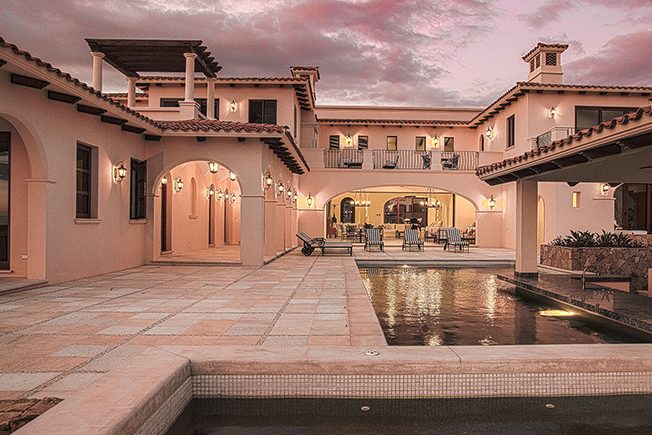 Exceptional craftsmanship by our partner Diego Gutierrez is apparent throughout the home, from the groin vaulted ceilings in the colonnade to the marble flooring covering the entire residence. Our Interior Design partners were critical to capture the emotion of the architecture with subdued but vibrant choices in color and materials. Each space in the home makes it’s own emotional statement and welcomes you and invites you to interact with the home through view corridors or interior focus on gathering.